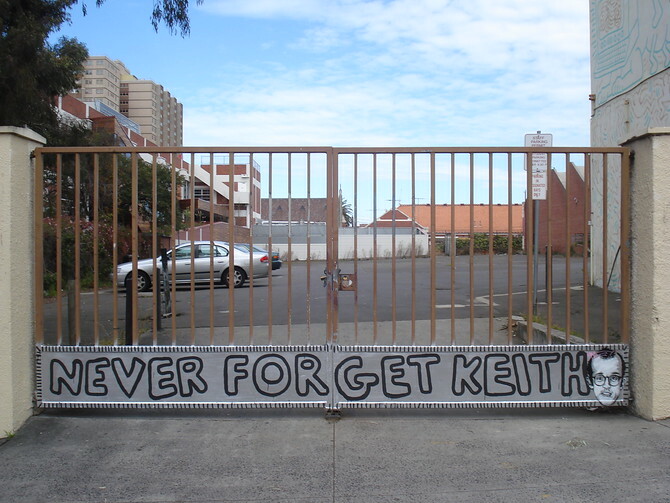 Keith Haring was an artist whose graffiti became famous in New York in the 1980’s. He took his distinctive style to cities around the world, making him possibly the worlds first celebrity street artist. 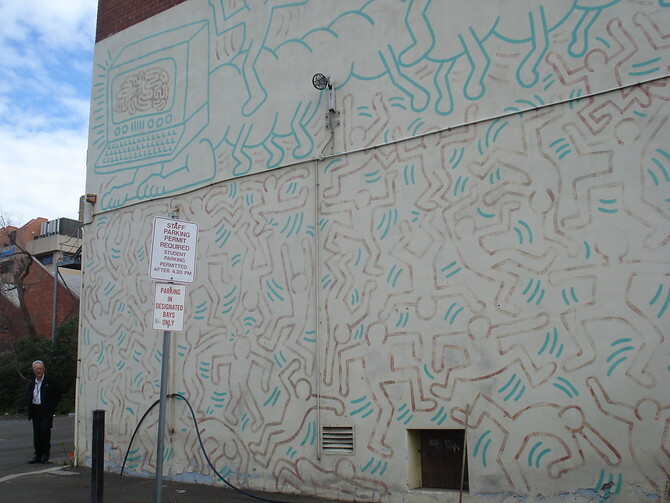 Haring visited Australia in 1984 and his mural at the Collingwood Technical School in Melbourne is one of the largest surviving Haring outdoor murals outside the United States. The school has since closed down but the mural remains intact. It has been nominated for protection with Heritage Victoria.